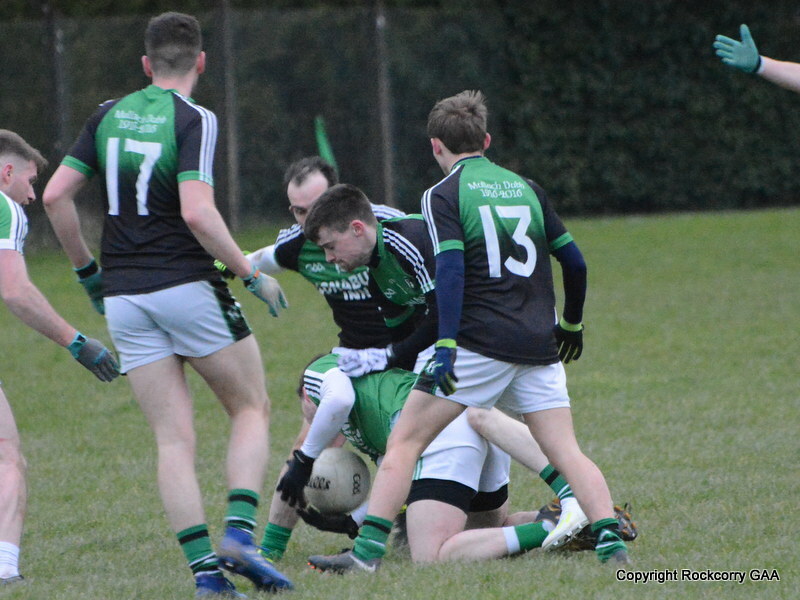 Our under 14 footballers played their final league game in the Gerry’s Prepared Veg Division 4 league campaign when they entertained Drumhowan at Pairc Naomh Mhuire on Tuesday 13th August. 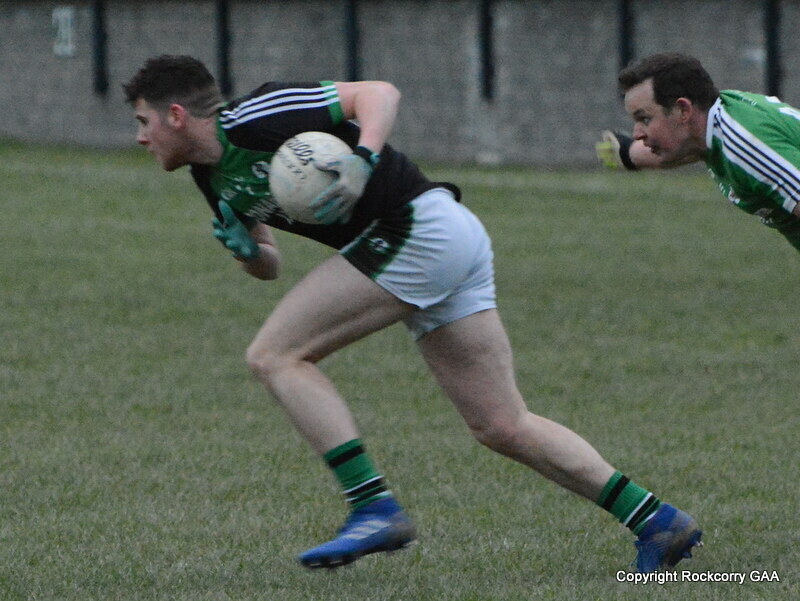 The match was played in perfect conditions and we started the match well and scored a couple of lovely points early on but Drumhowan quickly responded and at the end of an entering first quarter they lead by 0-3 to 1-2. 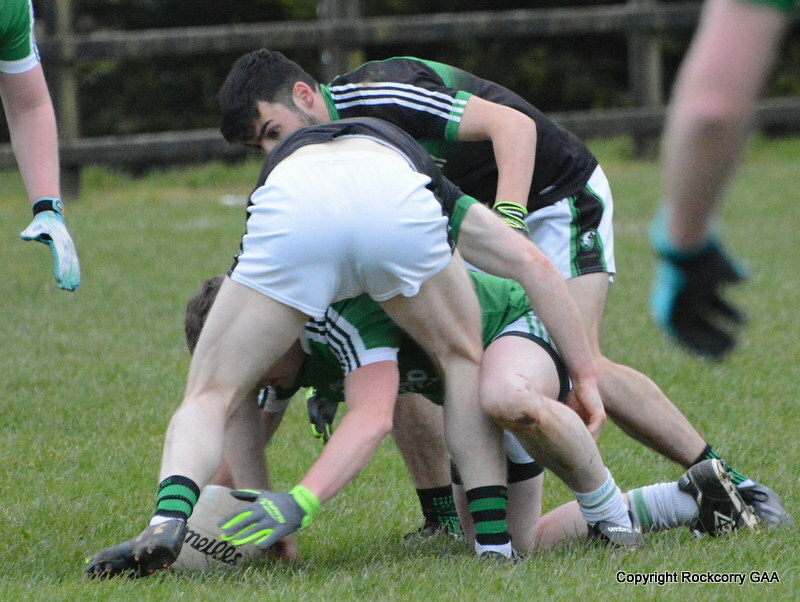 During the second quarter Drumhowan found another gear and completely dominated the proceedings and lead comfortably, leading 0-5 to 4-4. 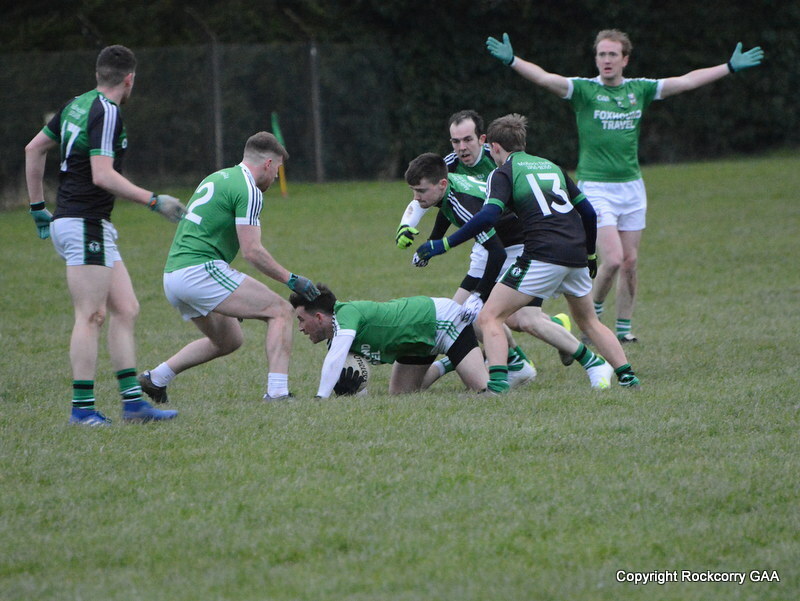 In fairness, our lads who have improved significantly as a team over the course of the year, came out strong in the third quarter and really put Drumhowan, who are a top team, under a certain amount of pressure, and actually out-scored them, to leave the score-board showing Rockcorry 2-6 Drumhowan 5-6. 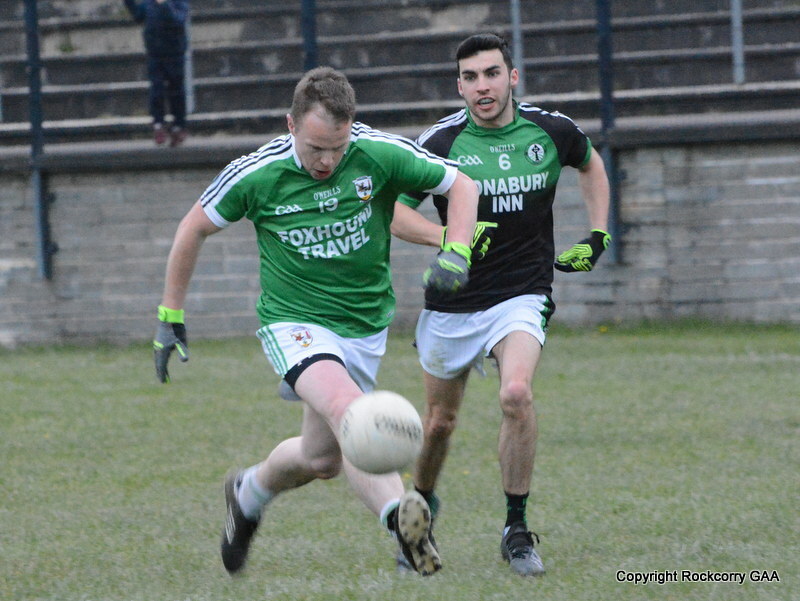 The final quarter was evenly balanced with good football being displayed by both sets of players but in the end Drumhowan had done enough to secure the spoils on a score-line Rockcorry 3-7 Drumhowan 5-10.